Italian fighter jets protecting airspace over the Baltic states were deployed to intercept a Russian refueling aircraft over the Baltic Sea, Latvian National Armed Forces said via Twitter. The IL-78 (Midas) is an air-to-air refueling tanker and is part of a regiment based in western Russia’s Ryazan Region nearly 200 kilometers (122 miles) southeast of Moscow. Over the past few months, several NATO members have expressed concern over Russia’s alleged violations of their airspace. The Russian Ministry of Defense retorted, however, that the Russian Air Force’s routine flights are in compliance with international agreements and do not violate foreign airspace. NATO Baltic Air Policing QRA ITA Typhoon jets on 10 MAR scrambled to intercept RU Armed Forces Il-78 over the Baltic Sea. Moreover, the air force command criticized these allegations as distractions from NATO’s military buildup in the Baltic region along Russia’s western borders. On Monday, over 120 armored units, including Abrams tanks and Bradley armored vehicles, arrived in Latvia from the United States. Similar equipment, including two groups of US paratroopers, is expected to arrive this week in neighboring Estonia to take part in joint military drills involving 13,000 soldiers. The nearly year-long conflict in southeast Ukraine has served as justification for NATO’s expansion in Eastern Europe. The military bloc, along with its political and economic counterparts, claims Moscow is involved in the ongoing fighting. 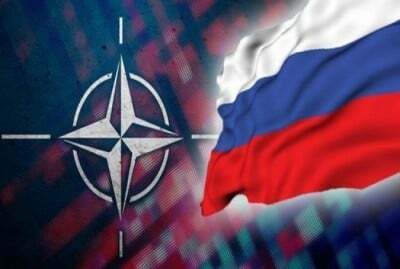 Russia, on the other hand, has maintained that it is not a party to the crisis in Ukraine and has expressed concern over NATO’s growing presence along its borders.